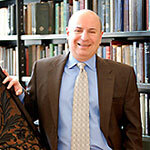 Contact Howard - Howard Levy is a Cincinnati tax attorney with the experience to find solutions to your IRS problems. Whether you have been hurt by the economy, a change in income or just bad choices, I know that you may have found yourself – unintentionally – in the cross-hairs of the IRS. I find it rewarding to guide you, protect you and help you find the light at the end of the tunnel. I personally work on every aspect of every case from beginning to end. Do you live outside of the Greater Cincinnati area? No worries – I work with clients that are local and from around the globe. Ready to take the next step? In the space below, please do your best to describe how I can help you.